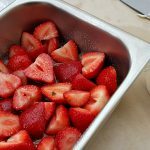 Don’t you just love strawberry season? 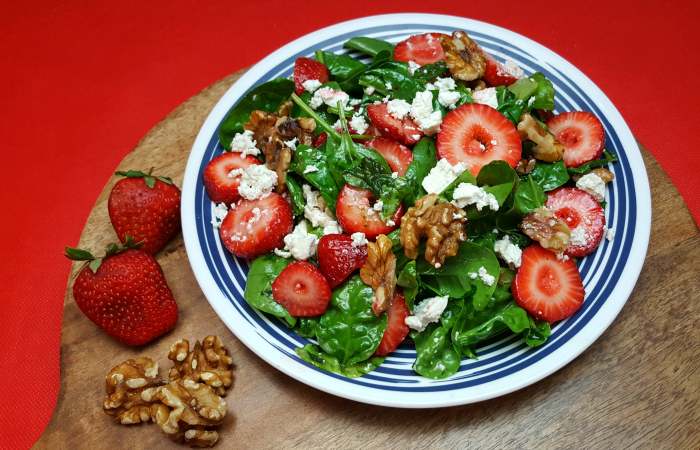 Fortunately, the season is long, so I can enjoy a strawberry feta salad many times each year. The strawberries looked so good at the grocery store this week that I bought 10 pounds. I froze some of them to use in smoothies and smoothie bowls. We are eating the rest of the fresh in a variety of different ways. When the weather is hot, I don’t want to cook and make the house hotter than it already is. 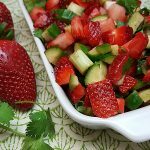 Salads are my go to hot weather meal. 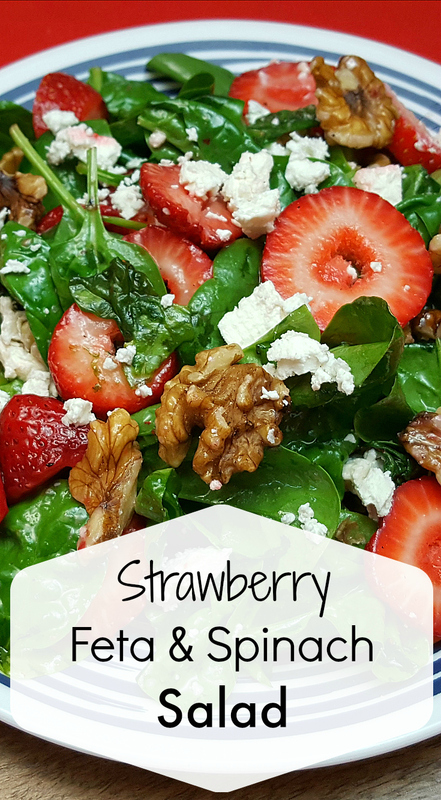 This salad uses a whole lot of strawberries and has the extra protein and nutrition of walnuts and feta cheese. It’s pretty, satisfying and can be on the table quickly. 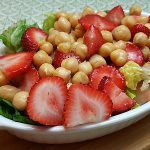 The salad is wonderful as a main dish or side dish, and is great to serve for guests. 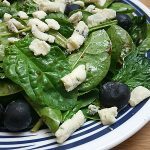 Put spinach, olive oil, balsamic vinegar and pepper in a large salad boil. Toss to combine. 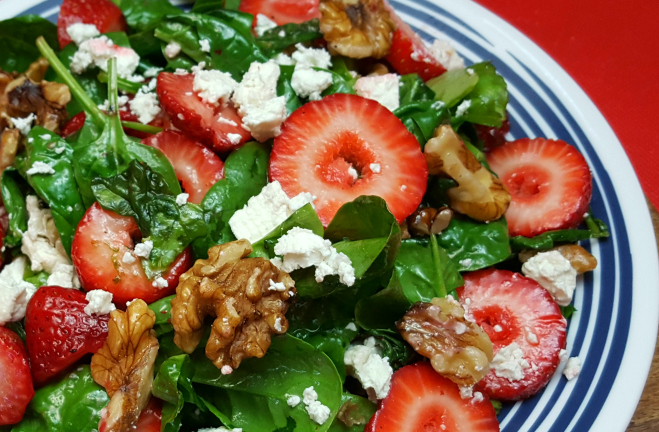 Add strawberries and walnuts. Toss again. Add feta and toss gently.